Heck of a title for this post. Last evening, my son stormed out of the house in anger. I waited about 20 minutes before going after him. I thought it would give him time to cool down. He started throwing things out of the cars, so I worked my way through them to lock the doors and make sure things were where they were supposed to be. As I got to the last one, he began threatening me. He had a basketball that he kept throwing down the street, so I took it and put it in the garage. He went and got it. So, I am ashamed to admit, I deflated the ball. I didn’t acknowledge him in any way during this period. I was working on moving a vintage sewing machine into our house, when he grabbed a shovel and threatened to beat me with it. He swung at me and hit the sewing machine cabinet a number of times, causing deep gouges in the finish. All that I said to him was that I loved him more than the sewing machine. He attacked a trailer sitting in the yard. He threatened to break out the windows on his grandfathers van and his mom’s car. At this point, I called the Sheriff. I have audio record of the events of last evening. It saddens me to say that I had to order one of the other kids back into the house because of David and his rampage. Before the Sheriff Deputies arrive, David grabbed a piece of wood and stabbed our swimming pool. Threatened to do that to me. The Sheriff got here, and talked with David. He, of course, blamed his mother and I. The Deputy made the determination to commit David to psychiatric unit for the night. While David rode with the Deputy, I followed in the van so I could complete the paperwork. Pretty sad when the staff at the psych unit know your son by name and reputation. Will they do anything? likely not. we will get between 2 and 5 days. It is heartbreaking to have your son threaten you like this. Until you have experienced it, you really have no idea. 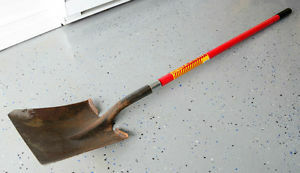 To face down someone holding a shovel in a threatening manner and have them say “I will beat you with this shovel” is just mind numbing. I don’t know any other way to describe it. I was pretty emotional. I didn’t cry while I was facing him down. there is no shame in admitting, I was scared. I don’t hate David. I love him dearly, he is my son. I was a lot like him at 14. Full of anger. I see the potential that he doesn’t see in himself. 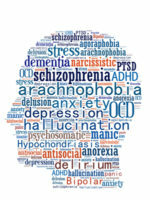 Want to know his biggest concern about being in psychiatric care for evaluation? He will miss time with his mentor/staff person on Saturday unless he gets out of the hospital on Friday. You are a testament to patience and I know there is no other way to handle it but how you did. You are a great father in many ways, from getting David away from the rest of the family , protecting them ….to getting him protection from himself. Would zero tolerance work ? Just curious. If you called the deputy every time he threatened , is he able to cognitively control himself knowing there is zero tolerance? I’m guessing not. EarleenFayeKemmish he doesn’t understand consequences. he knows no remorse. and truthfully, until the Sheriff Department writes up every incident that we call them on, nothing will change.